The Savage x Fenty runway closed New York Fashion Week with a beautifully diverse cast. The line-up included a very pregnant Slick Woods who apparently went into labour straight after the show. 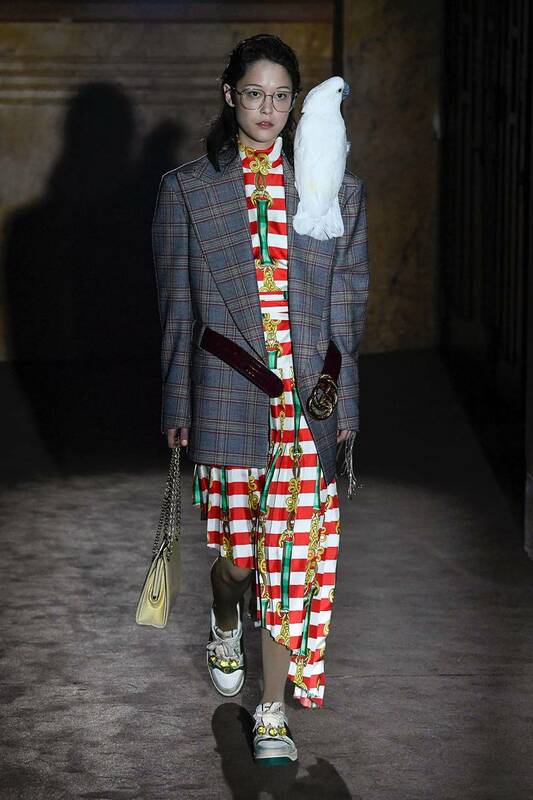 Day 1 of Paris Fashion Week kicked off with Gucci and it didn’t disappoint. 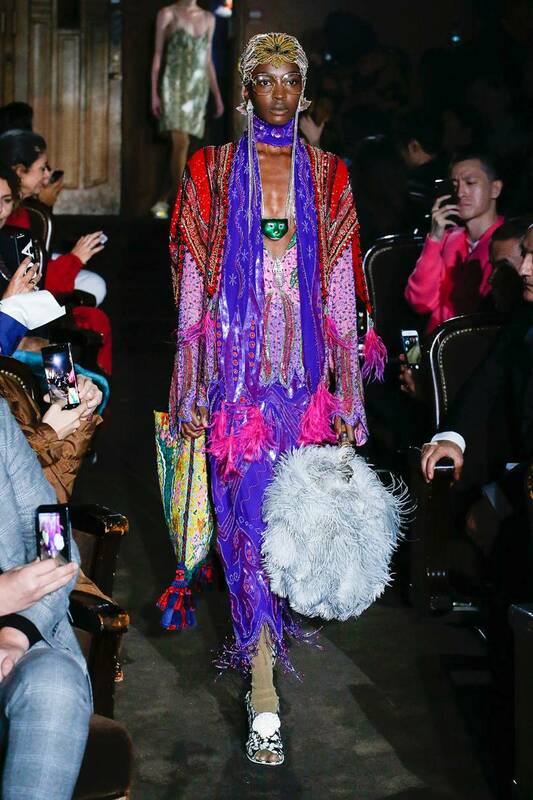 The stunning show saw Gucci put up look after look of over-the-top colourful garments with heavy fringing, beading and jewels. 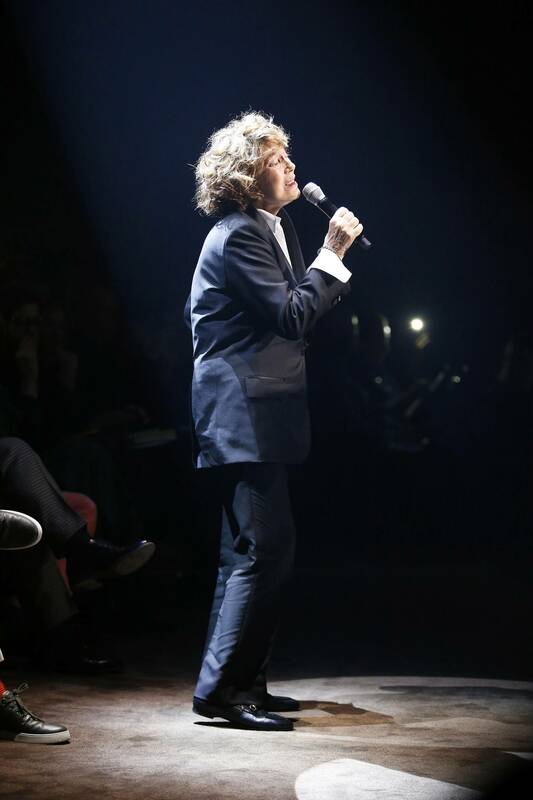 The big wow moment occurred mid way through the show when legend Jane Birkin performed her single “Baby Alone in Babylon”, what a magical touch. 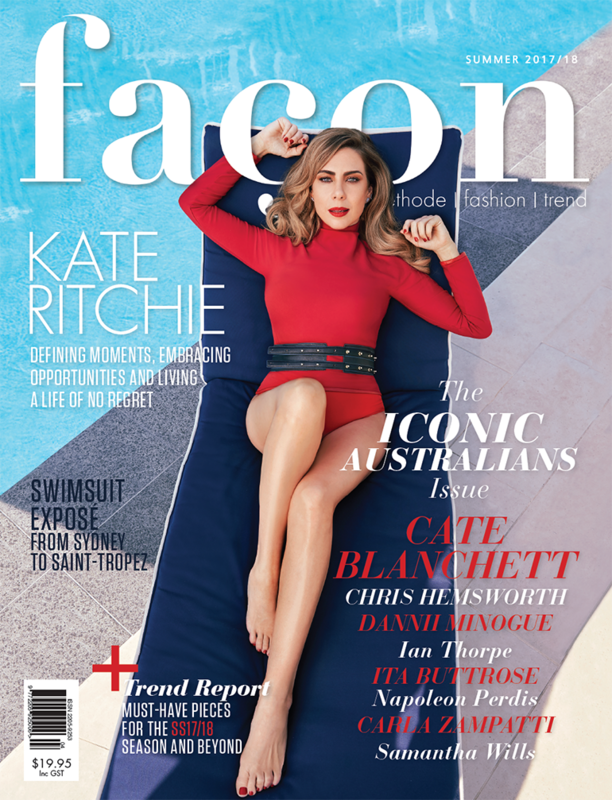 Oh and there was even a Cockatoo. At Milan Fashion Week, Italian streetwear label GCDS sent triple breasted models down the runway à la Total Recall style. The models were fitted with prosthetic chest panels featuring the three breasts. Is this a glimpse into what humans might look like in the future? On day two of Paris Fashion Week, Saint Laurent’s presentation took place beneath the sparkling Eiffel Tower, oh how Parisian! If that wasn’t wow enough for you, the models strutted through a flooded runway and made it look like no big deal. 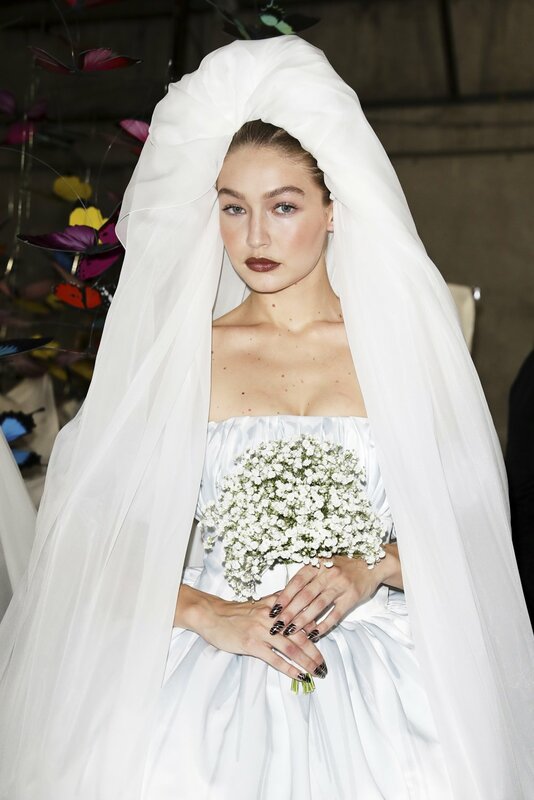 It was the fairy-tale moment we didn’t know we needed when Gigi Hadid closed the Moschino show at Milan Fashion Week. 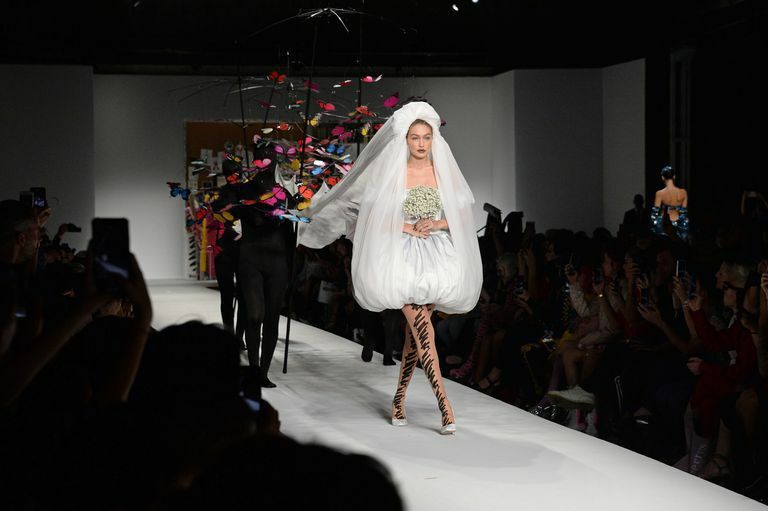 She closed the show as the Moschino bride in a puffed dress, with a extended train with butterflies floating above it dancing. The train was carried by men in black body stockings. Iconic. 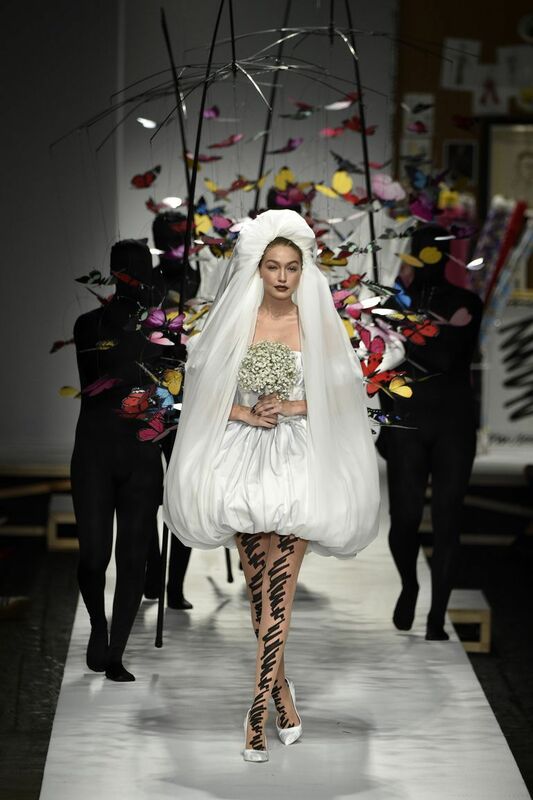 Karl Lagerfeld proves yet again that he is the king of fantastical runway set-ups. Nearing the end of Paris Fashion Week, Chanel brought the beach to the Paris at the Grand Palais. What a way to end the week! The runway was complete with sand beach huts and even gentle lapping waves.